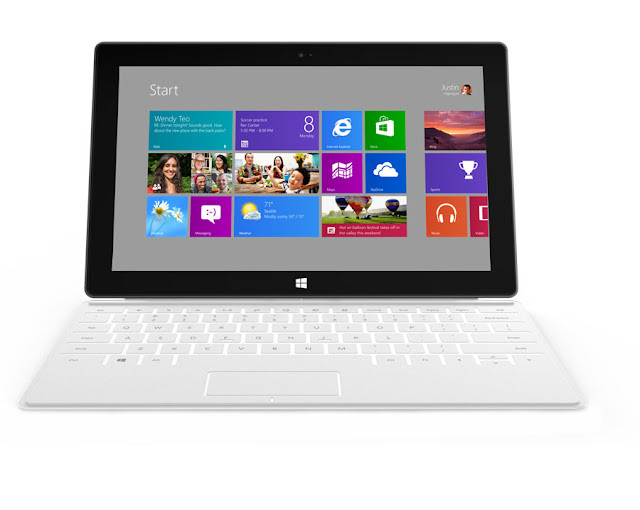 The star of Microsoft’s mystery Monday unveiling has been revealed: Surface, a Windows tablet. “It was always clear that what our software could do would require us to push hardware, sometimes where our partners hadn’t envisioned,” Microsoft CEO Steve Ballmer said at the event. 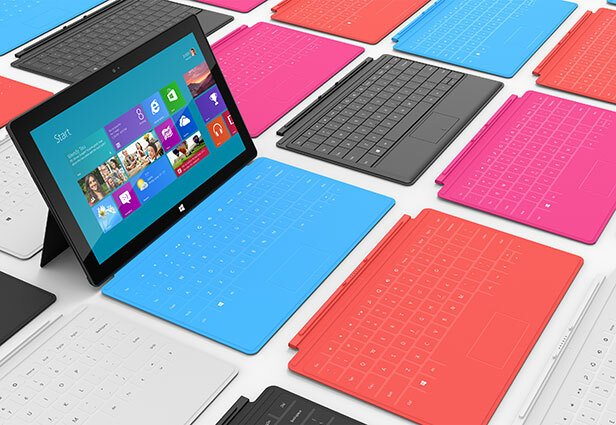 “Much like Windows 1 needed the mouse, we wanted to give Windows 8 its own hardware.” Just as Windows 8 is a re-imagining of the Windows operating system, Microsoft describes Surface as a re-imagining of the tablet. 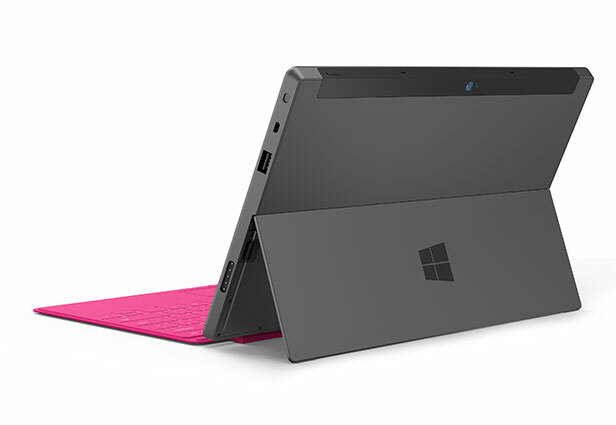 The first of its kind, Surface is designed to work as both tablet and PC and comes in a version running Windows RT as well as a version running Windows 8 Pro. 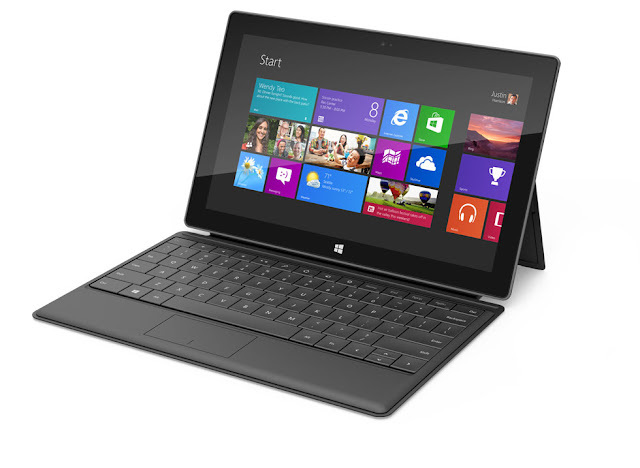 Super-thin, the tablet is just 9.3mm thin for the Windows RT version and 13.5mm for the Pro version. Both have two full size USB ports. You’ll also find a Micro SD port on the side of the RT version and a microSDXC port of the Pro version for adding data to the device or reading files (like pictures from your digital camera) on the fly. Surface has a 10.6-inch 16:9 widescreen HD display screen. Designed to be mobile yet sturdy, the screen is made of Gorilla Glass -– an ultra-strong glass – to prevent scratches and breaks if it takes a tumble. 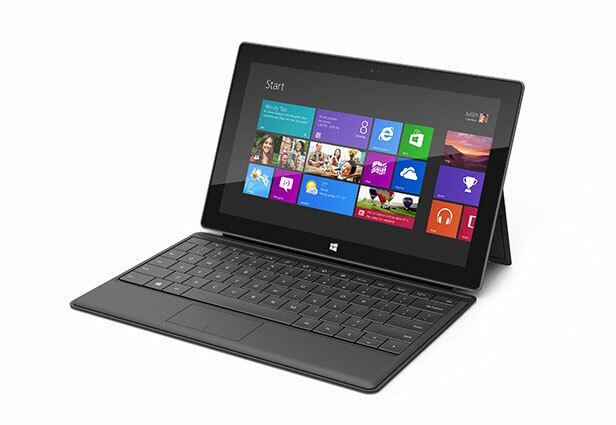 A built-in kickstand on the rear of the tablet holds it up while you’re typing or viewing videos. A Touch Cover for the device protects the screen, and much like Apple’s Smart Cover does with the iPad, it connects to Surface via magnets on the device’s side. 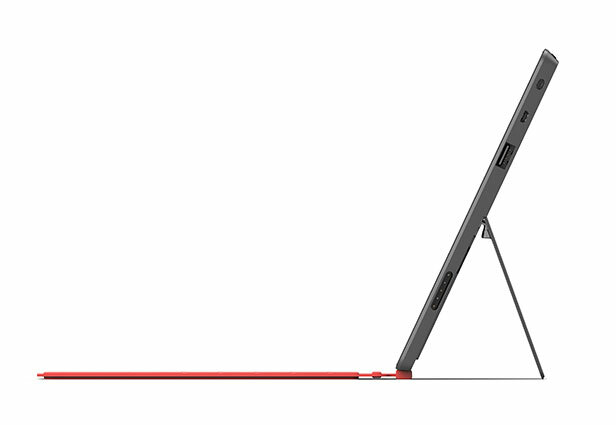 A stylus also comes with the Pro version, and attaches to the side of the tablet for easy storage.